The Japanese Quail is a species of Old World quail found in East Asia.They were first domesticated in Japan in the 12th century, although originally as song birds, rather than for their meat or eggs. They have a very broad range of vocalisations with 28 different call types identified. 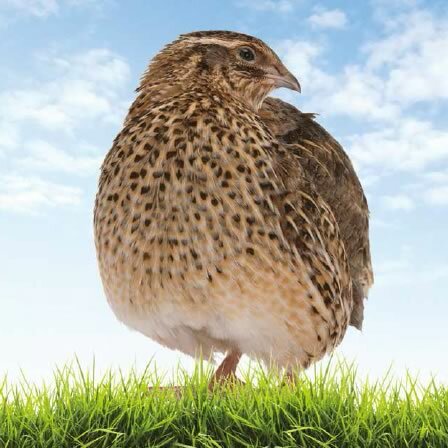 Japanese Quail are very fast developing birds. They are mature at 6 weeks of age and able to lay eggs from 7-8 weeks. Quail eggs are richer and healthier for you than chickens’ eggs, and are popular with chefs for salads, oriental scotch eggs and with caviar.